Owing to our extensive years of industry experience and profound market understanding, we are providing a wide gamut of HVAC Filter. It is widely used in HVAC Systems, AHU Systems and for other industrial blower applications where dust and dirt are to be removed. 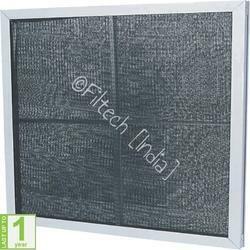 We are offering the first-class range of Hepa Filter. These are made by expert’s team who has affluent industry expertise and practice. With the help of our diligent and highly skilled professionals, we are able to supply and export a quality rich array of Dust Filter which find applications in various industries. Widely appreciated for their elevated functional life and high performance, these offered products offering a premium quality of dust filtration. This equipment is made of M. S. and is cylindrical in shape. It consists of micro ceramic filter one before Molecular Sieve Battery and one other battery to avoid entry of dust to the Air Separation Unit. A cabin air filter protects against external pollution as well as any unpleasant smells that may enter the vehicle. 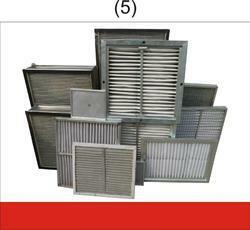 Being a renowned enterprises in this industry, offering an optimum quality assortment of HEPA Filter to our customers. These products are made using finest quality components. Our organization is a prominent name for offering Workshop Cabin Air Filters to our clients. These products are made from high quality components.